Target: Actively discriminating against you in yet another business venture. Target Field (Yes, THAT Target) is home to the Minneapolis Twins, as well as an unappetizing amount of anti-LGBT discrimination these days. According to Taylor Campione and Kelsi Culpepper, they were a little late to the Twins game at Target Field on May 27, 2011. Culpepper stopped to go to the restroom and gave Campione a little kiss. Then, Culpepper said a security guard came up to her. “I saw you kissing that girl, you can’t do that,” the guard said. They spoke to the manager and were not satisfied. 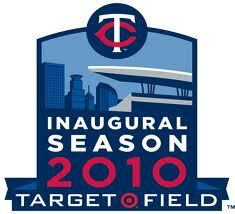 They want a “zero tolerance policy at Target Field, and have filed a complaint with the State Human Rights Department. Oh Target…there you go, stepping in it again. A representative for Target Field and the Twins confirmed that while the security guard in question has had a written and verbal reprimand added to his personnel file, he has not been fired for openly discriminating against the lesbian couple. Furthermore, Target Field has ignored requests to add that zero tolerance policy for human rights violations that the women have requested. All of this news unfortunately has come out on the very day that Beyonce announced an exclusive partnership with Target for the deluxe release of her latest album, 4. Did she learn absolutely nothing from Lady Gaga dissolving her own contract with Target over failure to implement fair LGBT equality practices? Attention musicians, stop partnering with this repeatedly anti-gay company! Taylor Campione and Kelsi Culpepper are expected to file an official discrimination suit against Target Field shortly.